Djibouti (HAN) April 4, 2014: A Member of Ethiopia’s largest opposition party UDJ blamed Egypt’s financial assistance to Al-Shabaab militants in Somalia for spreading terrorism in the horn of Africa. According to MP Girma Seifu of the Unity for Democracy and Justice (UDJ) party, American aid to Egypt is being diverted to finance terrorists in Somalia as Cairo seeks to weaken Addis Ababa and stop construction of the Ethiopian Dam. Girma-Seifu-Maru. “American taxpayers should demand answers from the Obama administration on why billions of their money is going to a country that funds terrorism in East Africa,” said Mr. Girma. According to a New York Times report on June 6, 2013, several Egyptian government officials were secretly taped discussing ways to increase funding for militants in East Africa in order to destabilze upstream Nile basin countries. Ethiopian Member of parliment, Girma cited several United Nations (UN) weapons Monitoring Group’s evidence that show Egyptian arms support to Somali militants, some of whom have killed western tourists in East Africa. The UN document states that Egypt is also providing “intensive military and ideological training” to al Shabab, the same active group with terrorists like Abu Mansoor Al Amriki who was on FBI’s Most Wanted terror list. 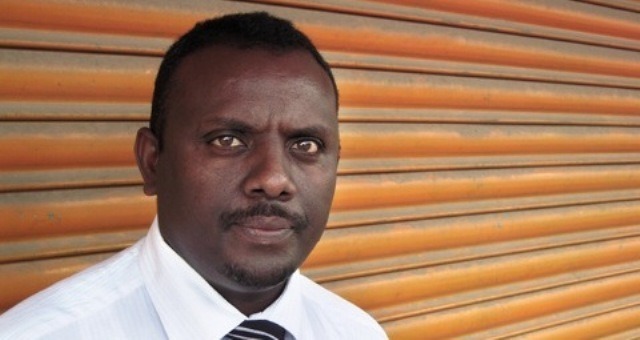 The Ethiopian opposition MP said he is calling on all the Ethiopian Diaspora in America to unite and “take legal action” and inform their local US congressmen. The MP also said Egypt and creditors blocking finance for the dam project is a “crime against the poor people of Ethiopia.” He urged the World Bank (WB) and IMF not to give in to “corrupt”Egyptian lobbyists who are blocking the loans for the Ethiopian mega dam. The official asked the West to help Ethiopia build the infrastructure needed to feed itself instead of making the country forever dependent on food aid. If these traveling Canadians “participate in a foreign conflict or train with a terrorist group, they might return with certain operational skills that can be deployed themselves or taught to fellow Canadian extremists. Either way, this is a serious security threat to Canada,” notes the report.